We accept custom artwork in PDF, TIFF or JPG format. 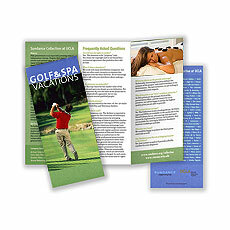 Trifold and Z-fold, and other folding options available. Contact us to request a template or begin your custom order. 8.5"x11", 5.5"x8", and other sizes available. 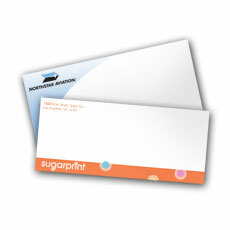 If you created your business cards using our online designer we can create a matching letterhead & envelope designs for you! 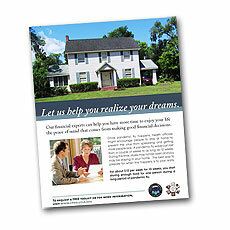 We also accept custom artwork in PDF, TIFF or JPG format. No. 10, A7, and 9"x12" envelopes available. 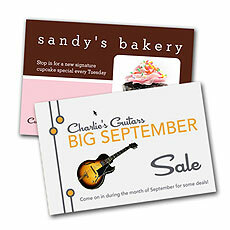 Use our online design tools to create your postcard. We also accept custom artwork in PDF, TIFF or JPG format. Contact us to request a template or begin your custom order. Please contact us for custom quotes on larger quantities. 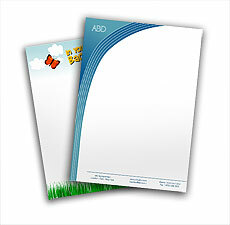 We also offer many other types of products including Door Hangers, Table Tent Cards, Booklets, and Presentation Folders. Contact us for more info or a quote.